Each year we evaluate a number of fundraising priorities representing the greatest need from Covenant Health sites we support. In the 2014/2015 fiscal year, we are currently focused on these two campaigns, raising funds for the establishment of a $4.2 million redeveloped NeoNatal Intensive Care unit (NICU) at the Misericordia Community Hospital, and supporting the landmark work being undertaken by the Palliative Care Institute based at the Grey Nuns Community Hospital. 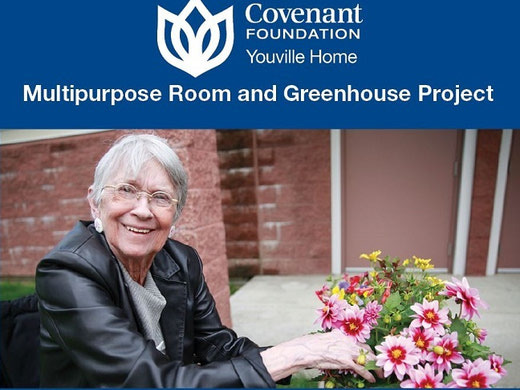 Join us in supporting the St. Albert community's Youville Home as we raise $1 million to fund a multipurpose room and greenhouse space addition for the facility's 232 residents. help with the redevelopment of the Neonatal Intensive Care Unit (NICU) at the Misericordia Community Hospital. The Palliative End of Life Care Institute responds to the growing need for end of life care in the province and ensure patients facing serious and complex illnesses have access to a full and comprehensive spectrum of coordinated health services. 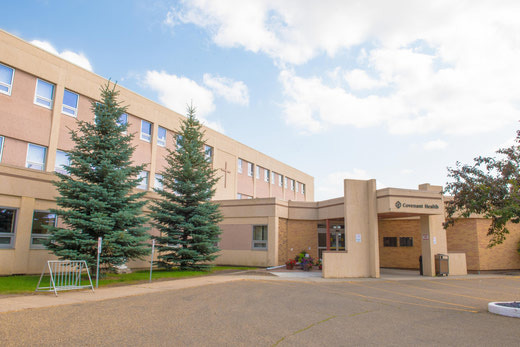 Covenant Foundation is campaigning to raise 80,000 to purchase the equipment needed to build and operate a Medical Simulation and Clinical Skills Centre at Vegreville's St. Joseph’s General Hospital. Rebecca Henderson recalls a special end-of-life moment she shared with her mother at Covenant Health’s Misericordia Community Hospital.